Attention car enthusiasts-- spend more time in your garage than you do in your house? If so, this is the property for you! 3.5 car detached garage + 2 car parking slab: the ideal man-cave or she-shed! 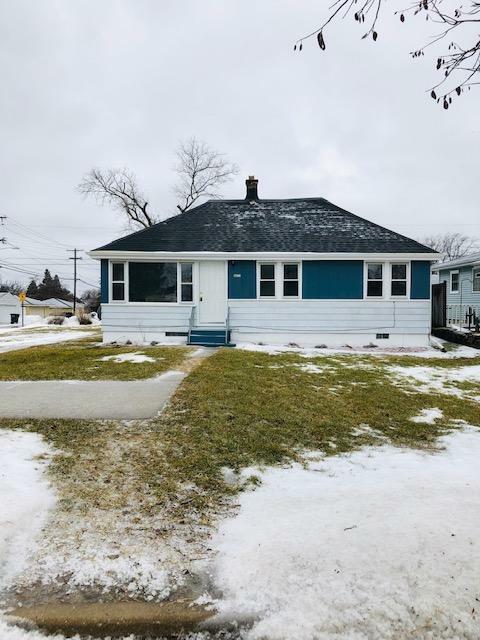 This quaint 2 bed/1 bath open-concept ranch home is nestled on a spacious corner lot and has undergone a facelift: new flooring and neutral paint throughout. Pristine & modern kitchen: new cabinets, granite counters, stainless steel appliances. Tiled bathroom + updated fixtures. 1 year home warranty for peace of mind! Welcome Home!